A home just isn't complete without some type of workshop—a dedicated work space where you can cut, pound, drill, file, glue, lube or paint whatever you need to, without fear of dust getting everywhere or noxious fumes killing your pets. 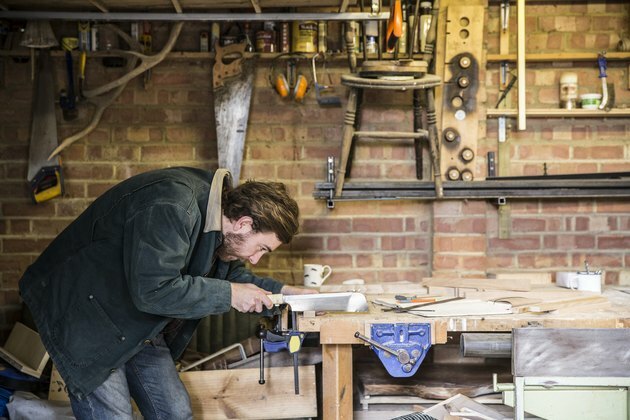 A garage workshop needs a sturdy bench or work surface, a basic set of hand tools, one or two power tools (to start with) and a few handy materials to minimize trips to the hardware store. Some form of home workshop is essential to being a responsible homeowner. Regardless of its size, a useful garage workshop has four essential elements: work surface, light, ventilation and storage. Focus on the work surface first. A heavy lumber bench with a replaceable plywood or particleboard top is ideal. Make sure the top overhangs the base a few inches so you can clamp to it. If you're short on space, consider a flip-up bench (mounted to the wall) or a portable setup with two foldable sawhorses and a sheet of plywood (this is also handy for taking work outside). All garage workspaces need ample lighting, but don't make the mistake of using just overhead lighting, which gets shadowed by your body. Include task lighting for your work surface. Ventilation is essential for clearing out dust and toxic fumes, and it helps paint and other finishes dry much faster. Keep in mind that ventilation isn't just air blowing around; it's air exchange. A simple box fan in a window works great for sucking air out of a room, but make sure there's a door or other window you can open to bring fresh air in to replace the air going out. Storage is an ongoing challenge in a workshop, as elsewhere. Think about what can go overhead—on shelves or ceiling-mounted racks—and what can hang on the wall, preferably on pegboard. 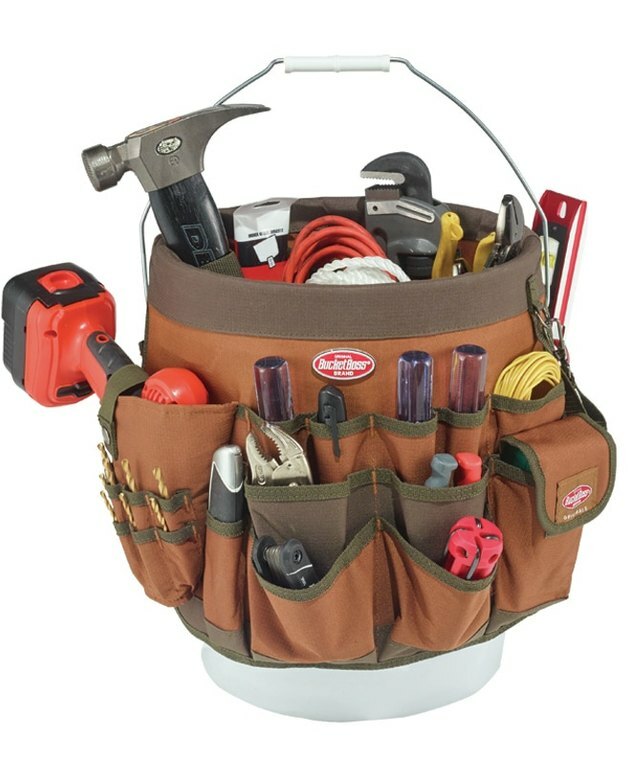 One of the best storage solutions is a 5-gallon bucket with a tool organizer sleeve for holding your most-used repair and maintenance tools, as well as basics (tape measure, pencil, square, utility knife, etc.) that you use at your workbench. Store the bucket under your bench to keep the basics at hand, and take it with you for jobs around the house. Hand tools are the heart of a garage workshop. Like kitchen knives and cooking utensils, they're what you reach for far more often than power equipment. 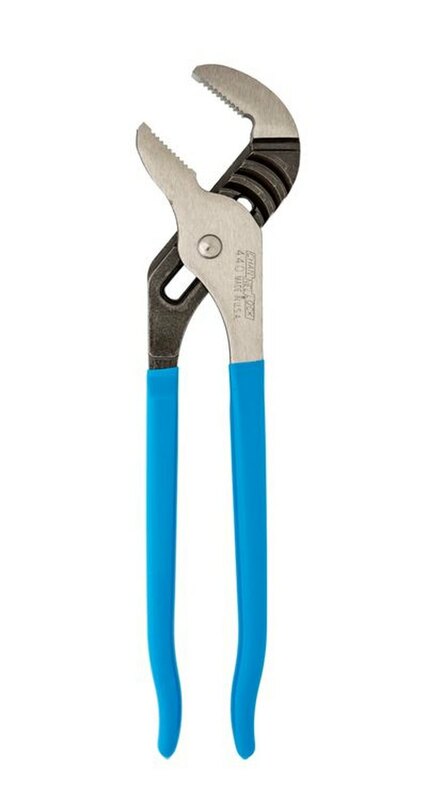 It's nice to have complete sets of tools, like screwdrivers and wrenches, but this usually isn't necessary (a socket set and drill bits are the most notable exceptions). The only power tool you absolutely need is a drill-driver. This must be a modern type with variable speed, reversible drive and a keyless chuck. Corded or cordless is up to you. For drill accessories, you need a magnetic screwdriver bit holder, a set of screwdriver bits (preferably with Phillips, slotted, Pozidriv, Torx, and square-drive bits), a piloting-countersink bit (for professional-looking pilot holes) and a set of standard drill bits (from 1/16-inch to 1/2-inch). A power saw is next on the list of useful tools. If you plan to do some building, a circular saw is pretty much essential. But if you need an all-around saw for wood, plywood, plastic, metal, etc. as well as for craft projects and lighter-duty cutting, a jigsaw is the most versatile saw out there. A power sander is a great time-saver if you plan to do a lot of painting or refinishing. Random-orbit sanders are the most versatile, and quarter-sheet sanders are the most basic. Finally, a shop vacuum is really nice to have—for your workshop, your car, outdoors, and anywhere around the house. It saves time and a lot of wear-and-tear on your household Hoover. If space is tight, look for a compact vacuum or a bucket-top unit. Materials for repair and maintenance projects will naturally accumulate over time, and the more leftovers you save, the more space you'll need to store them. This is a slippery slope, so try not to be too strict about saving everything. But a few materials will come in handy time and again, so it's worth it to keep a ready supply of them. 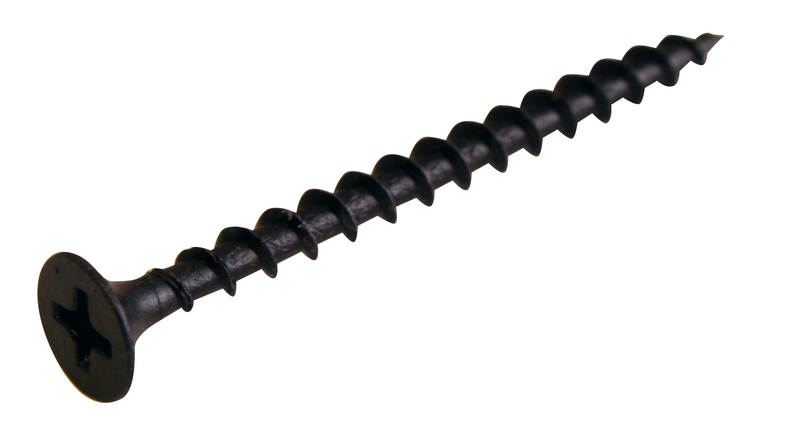 Drywall screws: Inexpensive, all-purpose screws for many materials indoors (they rust when wet); 1 5/8-inch and 2-inch are useful sizes. Plywood: It doesn't make sense to buy plywood just in case you need it, but never throw out decent-size scraps; it's the handiest building material in the world. Sandpaper: Sheets of coarse (60- to 80-grit), medium (100- to 150-grit) and fine (220-grit) sandpaper will get you through most jobs. Ultra-fine (0000) steel wool is great for cleaning and polishing metal and glass. Duct tape: Regular duct tape is useful for temporary fixes for…everything. But if you need to seal ductwork, use metal foil duct tape. Electrical tape: Don't use other tapes on electrical stuff. Glue: Have at least small bottles of wood glue, super glue and epoxy; optionally, polyurethane glue (such as Gorilla Glue). Galvanized wire: Handy fastener or hold-all for indoor or outdoor projects. WD-40: For general cleaning and rust removal, loosening bolts and very light lubrication (it's not really a lubricant). Household oil or lithium grease: For all-purpose lubrication. Assorted bolts, nuts and washers: Always keep a collection of extras, just like Grandpa's coffee can. 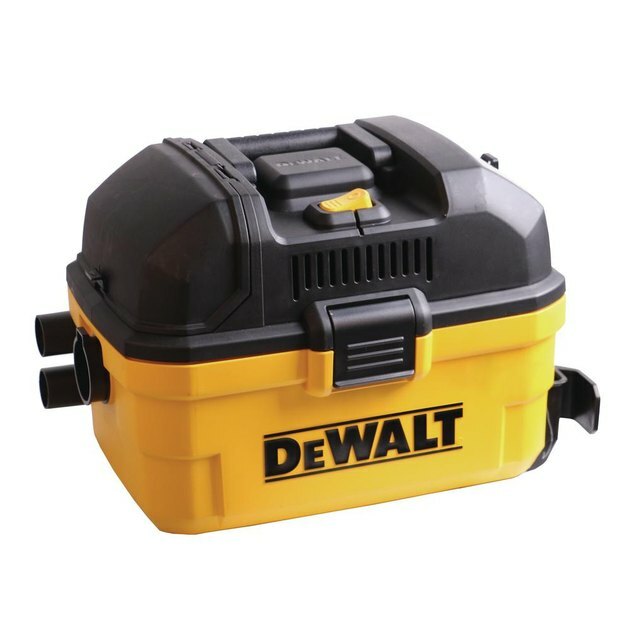 What Items Do I Need in My Toolbox?